The TanTan FM-199B and FM-299B are quality carbon hardtail frames sold consumer-direct from a carbon bike factory in Shenzhen, China. I spent the brutal Michigan winter and damp spring putting the TanTan FM-299B to the test and came away impressed. 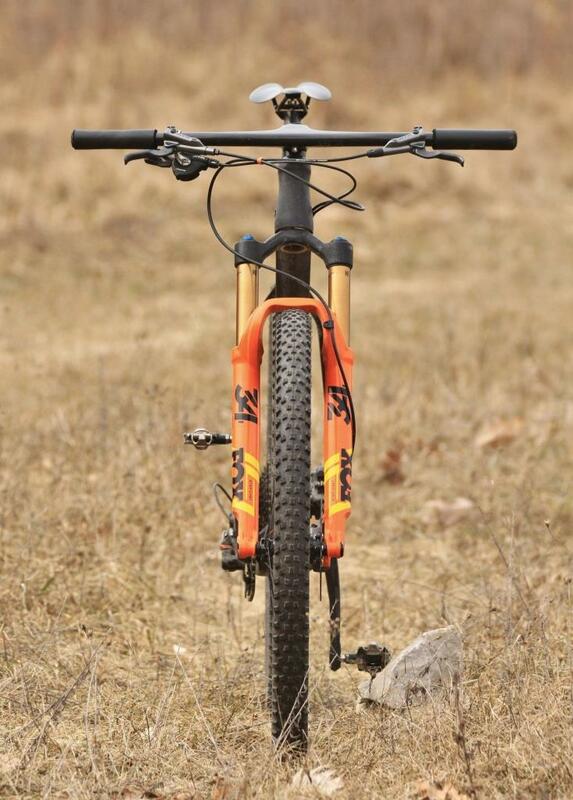 The 299B performs noticeably better than budget AliExpress, eBay, and Amazon hardtails, thanks to its dialed geometry, stiff construction, and attention to detail. It’s a great hardtail at an amazing price! 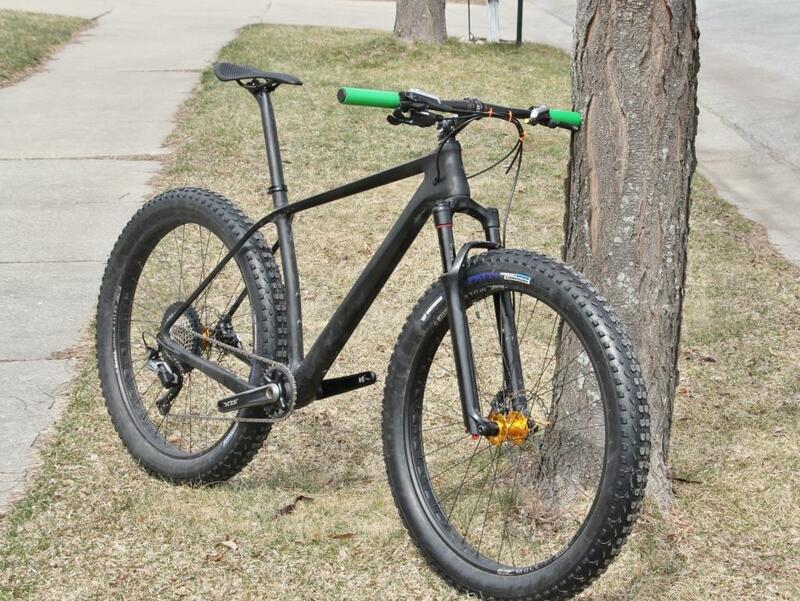 I ran this 29er build after snow melt with a Fox Float 34 SC (120mm travel). It weighs 18.5 lbs and costs ~$3000 if you were to build it from new parts with some deals. 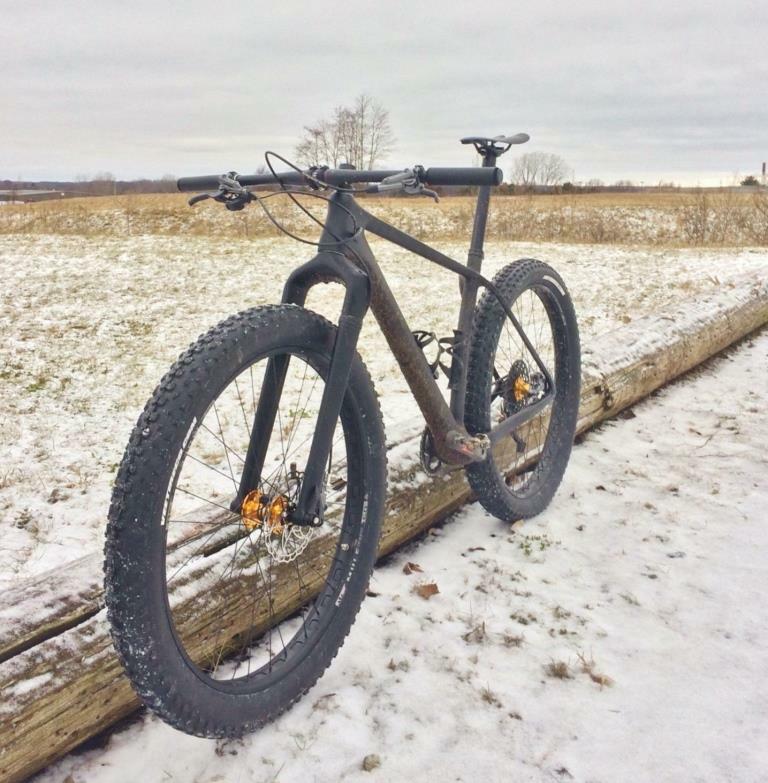 This 27.5+ build with a RockShox SID RLC (100mm travel) got me through the Michigan winter and did hardpack groomed trail. It costs ~$2500 if you were to build it from new parts, again with a few deals. 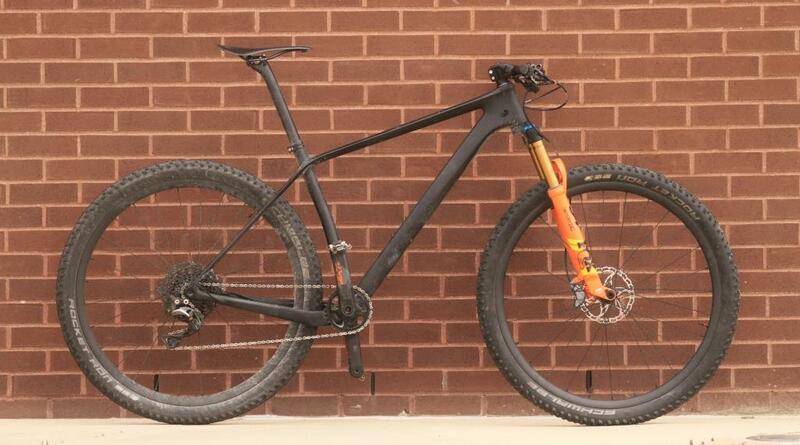 This was the initial 27.5+ build with a rigid fork, this build cost ~$2000 new and weighed 20.5 lbs (fork A2C length 495mm). The 199B and 299B were designed in late 2018 and are manufactured at the TanTan factory in Shenzhen, China. TanTan manufactures the frame at their factory from Toray 800 carbon fiber, which is lighter and marginally stronger than the cheaper and more standard Toray 700 fiber. The 199B and 299B frames are also available on Amazon, eBay, and AliExpress, but I recommend ordering from TanTan directly to ensure you get the best quality control, construction, and aftersales service. They are the original factory for this frame, anyone else is a reseller. The FM199B is 29er-specific while the 299B fits 29+ wide 27.5+ tires. 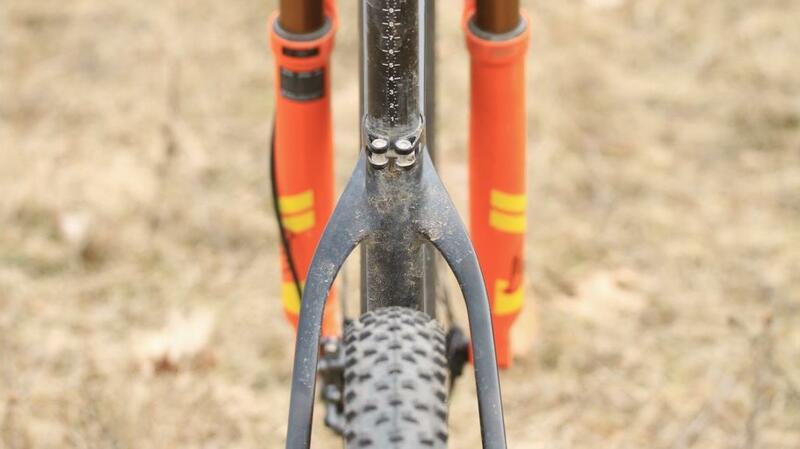 The 199B chainstays are 425mm, compared to 440mm on the 299B. Finally, the 199B will fit up to a 36T chainring while the 299B will only fit a 32T chainring. Weights and other geo numbers are comparable. Internal cable routing is nicely executed. Ports are satisfactory and seemed to prevent any cable rattle. Routing the shifter cable through the chainstay of my 299B was challenging since the tube was very constricted where clearance was needed for the 32T chainring and big tires. 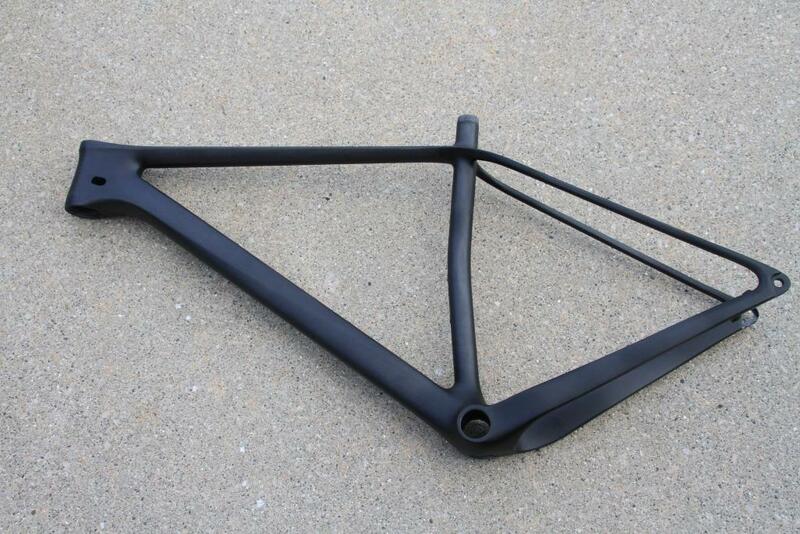 Frames come with a BB92 shell, boost rear spacing (172mm x 1.5 pitch axle), tapered headtube, and a 31.6mm seatpost. Frames are tested to 130% of industry-wide SGS safety standards and TanTan quality control is outstanding. 2-year manufacturer warranty is offered and honored. A bizarre feature of the 199B and 299B is the rear flat disc brake mount. 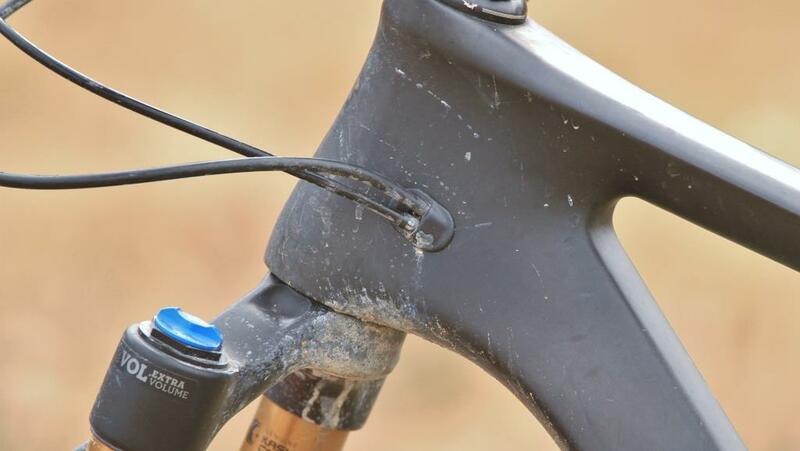 This is a poor design choice for mountain bikes since a flat-to-post adapter is needed to run calipers paired with almost any flat-bar brake levers. TanTan will include a 160mm rotor flat-to-post adapter with the frame on request. Compare the FM-199B and FM-299B geometry on geometrygeeks.bike. The 199B has all the numbers to make it a nimble XC weapon. It hearkens to the Scott Scale (see geometrygeeks.bike), though it does average a 5mm longer reach and a 3mm lower stack across sizes. A HTA of 69.5-degrees ensures responsive steering and efficient climbing. 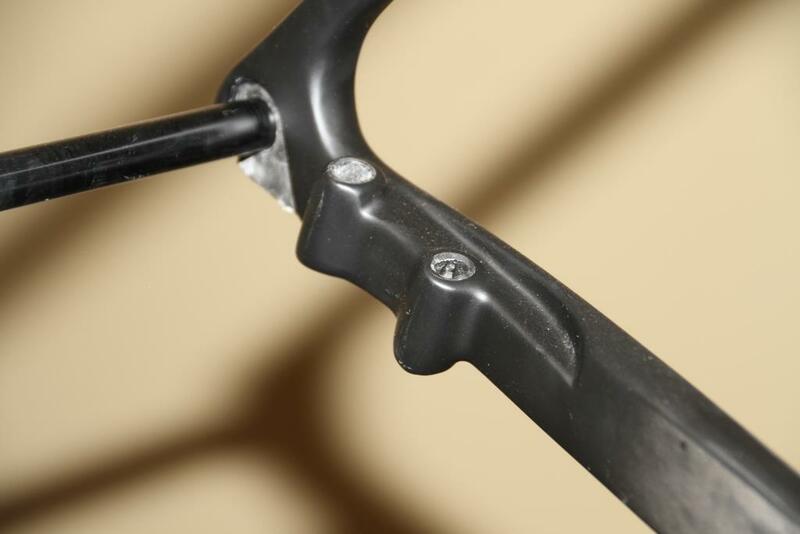 The geometry should work well with a range of fork lengths, corresponding to 100mm-130mm travel for 29er forks. Compared to my 100mm RockShox SID, my 120mm Fox Float 34 slackened the HTA by 1-degree and raised the BB by a bit, an adjustment that I really liked. Unfortunately, there is no XL size for either frame. I’m 6’2” and fit the frame well, but just barely. 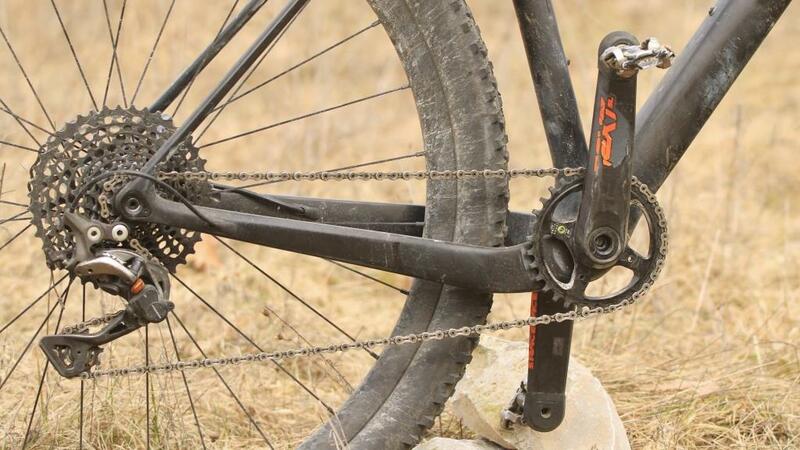 The Fox Float 34 SC factory fork with 120mm of travel did a great job of handling suspension duties. Compared to Fox Float 32 SC forks I've ridden it feels slightly stiffer, maybe, but also a little heavier. Not the same ultra-efficient XC feel, though it certainly eats up the bumps. Rear tire clearance permits for up to 29x3.0 tires on the FM-299B, but I ran just the Schwalbe Rocket Ron 29x2.25" tires for shredding singletrack. I ran a mixed drivetrain, with a XTR 1x11-speed derailleur and shifter, SRAM X01 10-42T cassette, PYC SP1101 chain, Race Face Next SL crankset, and OneUp Switch 32T chainring. XTR SPD pedals for power transfer duties. 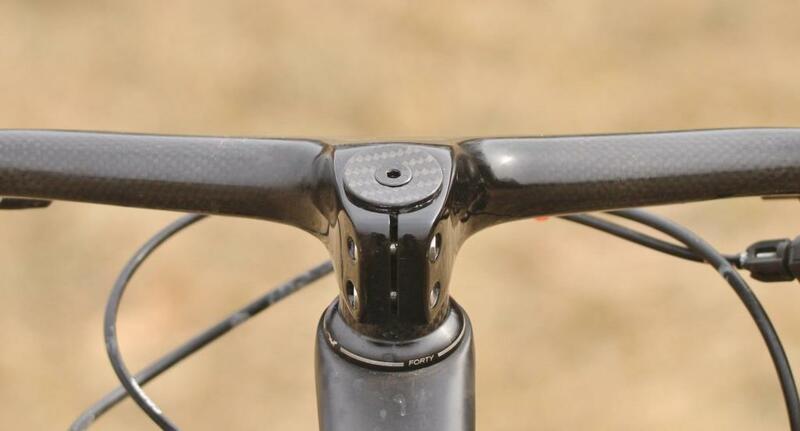 And of course the 680mm 9-degree backsweep -17-degree rise ultralight integrated carbon handlebar needs a mention. It's stiff and awesome! See my review thread here. 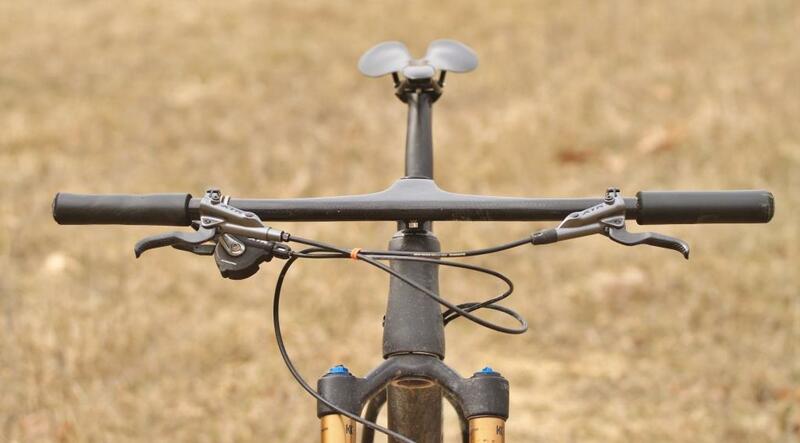 The handlebar will set you back just $50 and get you lots of attention. 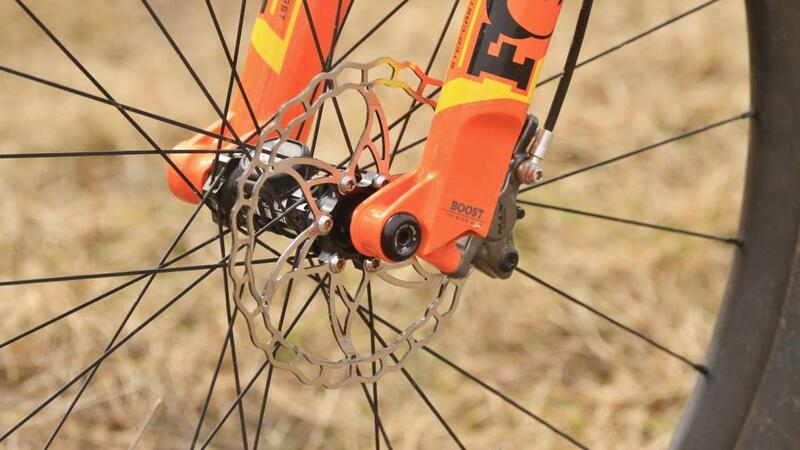 Braking duties are handled by Shimano XTR Race M9000 brakes and Ashima AI2 160mm rotors. The wheelset is from SpeedSafe, an AliExpress seller that I've worked with quite a bit over the last two years. I am running the 22mm inner width 280g rims built to boost DT 350 straight-pull hubs with Pillar 1420 XTRA spokes. The set weighs an actual 1249g and cost me $550 incl. shipping (I caught it on an AliExpress sale). The light weight and efficient power transfer were consistent characteristics regardless of how I built the bike. I was stoked with fast acceleration and was able to lay power down from a comfortable saddle position without any noticeable flex from the bottom bracket area even in the sprints. This is very much in contrast to cheaper BXT and Tideace hardtails I’ve built which were flexy when laying down the watts and also had short reaches and saddle points positioned too far forward on the frame. When built up to a SID 100mm fork and rolling on 29x2.25” Schwalbe Rocket Ron tires, the bike had an ultra-efficient XC race character. It was stable and managed every climb comfortably. 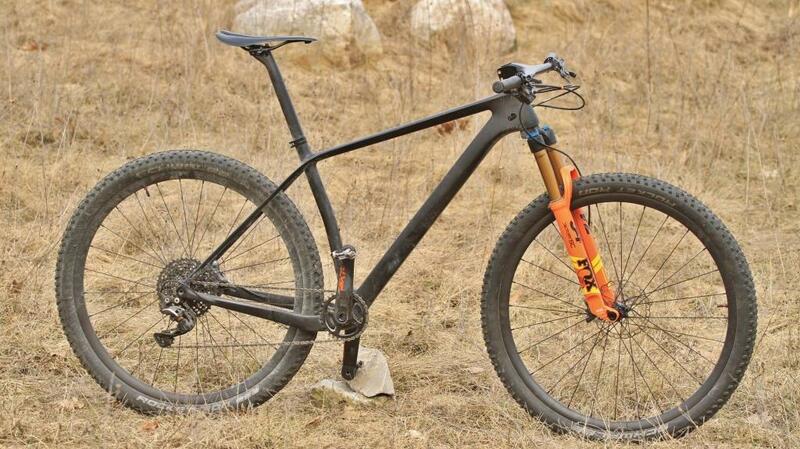 For most courses that need a hardtail, stability is a good thing. However, in technical sections the long chainstays seemed to make it hard to lift the front wheel, hop, or maneuver sharply. I expect that this is where the FM-199B would shine. With a longer-travel Fox Float 32 SC fork, the hardtail was much more playful and confident on the descents. Still, if this were a dedicated 29er setup, I would prefer the 199B. I spent a good deal of the winter running the Vee Trax Fatty 27.5x3.25” tires on groomed singletrack when the base was hard. The Trax Fatty did the job, and while I was routinely one of the fastest guys on groomed singletrack, I felt that the tires stuck to the snow, dirt, and mud and felt even more sluggish on pavement. I didn’t want to go with narrower tires because I needed every possible bit of flotation. I considered stuffing a 27.5x3.8” tire into the rear but couldn’t be confident it would fit. I’m glad to have tried 27.5+ this winter, but next winter I will be back on 26x4.0 Jumbo Jims for the perfect combination of speed and flotation. The press-fit bottom bracket was disappointing, maybe I'm biased because I generally hate PF bottom brackets. I love my Race Face Next cranks, but a 30mm spindle inside a press-fit shell means the bearings are very small. I blew through two sets of bearings this winter and put up with lots of loud creaky noises. 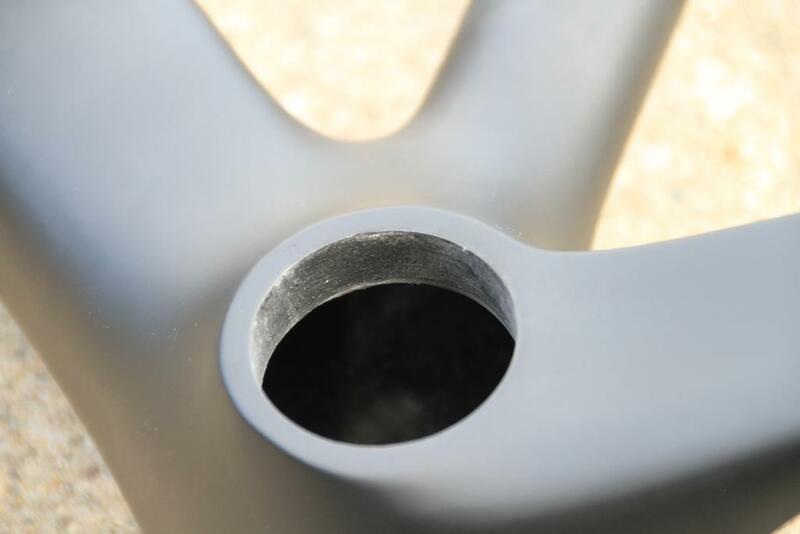 I much, much prefer threaded bottom brackets. Is this frame for you? If you’re looking for a lightweight hardtail carbon frame for your next build or just need a frame to swap over components from an alloy frame, the 199/299B is a great option. This frame is much better than offerings from Tideace, BXT, and cheap eBay, Amazon, and AliExpress products. 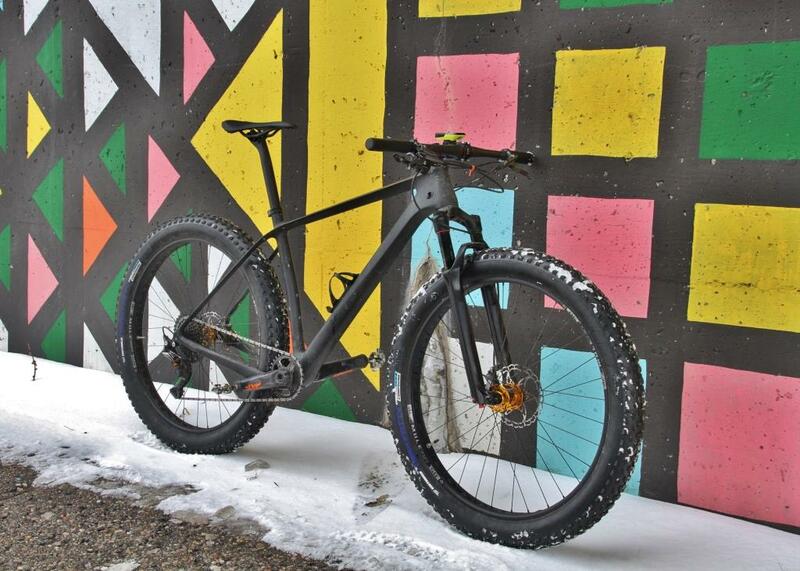 The 299B is your best bet if you’re looking for a hardtail that can also fit wider tires but isn't a full-on fat bike. 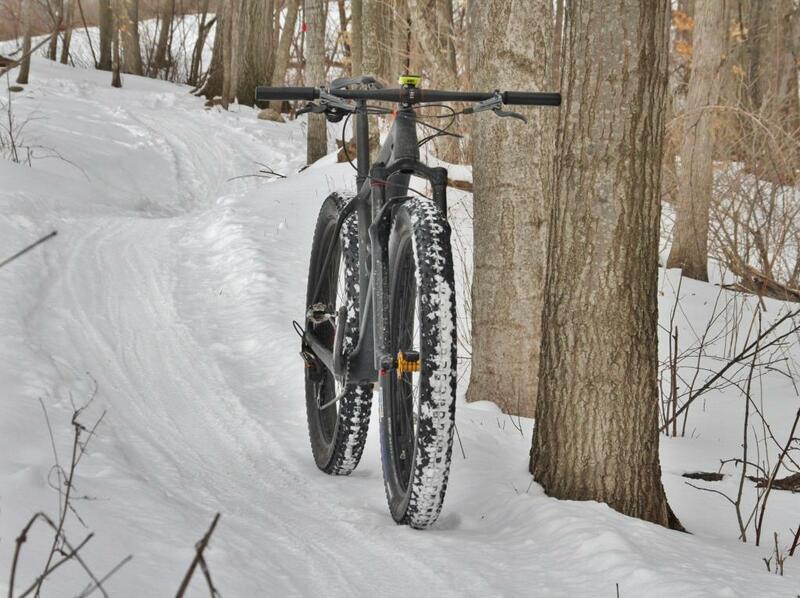 However, at least in my opinion, it is not a substitute for a fat bike. If you’re just planning to run 29x2.4” tires or narrower, I recommend the 199B, the newer Pro-Mance FM015, or the LightCarbon LCM908. 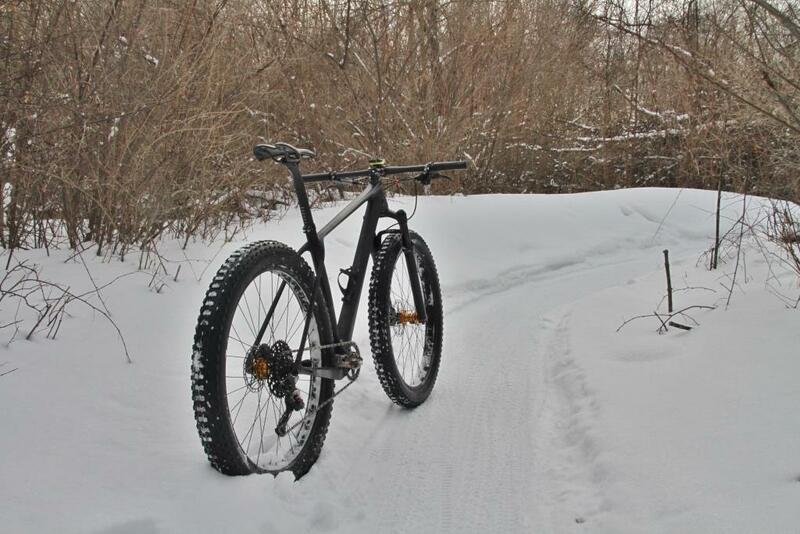 The 299B is not ideal for rides demanding long travel but can make a capable pack rig, XC race whip, or trail shredder. skidding is the signature of the novice; learn how to use your brakes. I recycled my favorite parts to the LCFS937 build which I just completed tonight. I'll have a first ride review next week. Do you know how much the pro-mance frame is? No, they quote everyone differently. It should be in the ballpark of $400 plus shipping. Thanks! It would fit the cranks but you'd need to get a chainring with 3mm outward offset to get the chainline optimized for the boost spacing in the rear.